April 19, 2014 – Now you know where I have been. I have so many photo stories to tell – because the trip was fun! So you get a few more photo stories here – and bear with me ’cause more are to come after these! 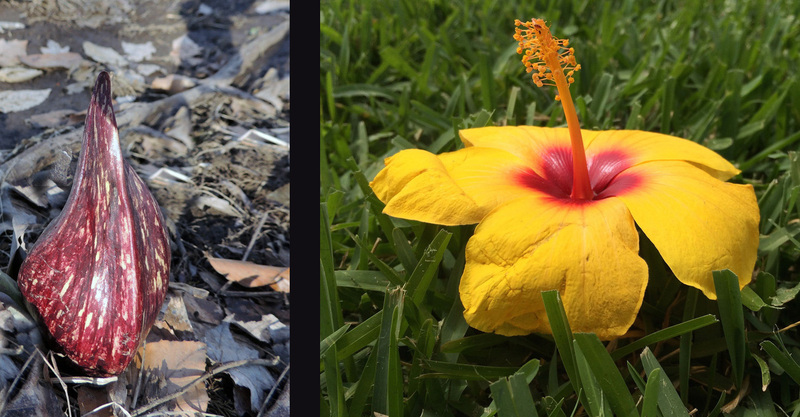 Hear are 2 signs of spring – in New Jersey, the skunk cabbage – In Florida the lonely flower – they are both beautiful. Oops! 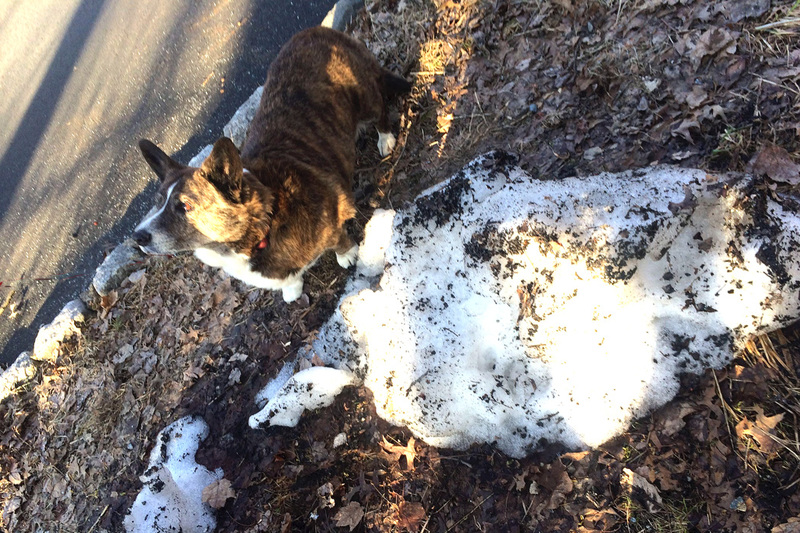 in New Jersey we still have the last sign of winter – Dyna by the last bits of dirty snow – pushed there weeks ago by the snowplow. On a spring walk with my Granddaughter and Daughter – I love the focus each person shows at the moment the shutter was pushed. 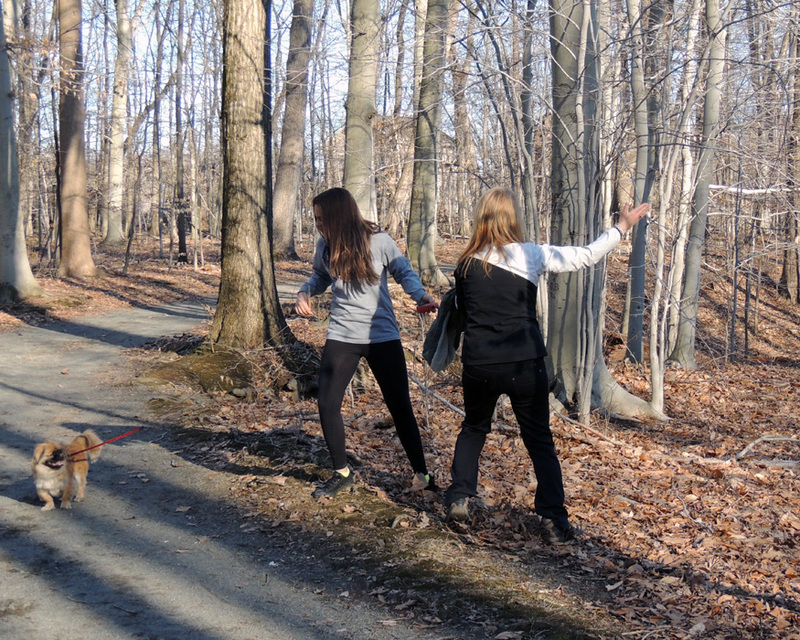 Heather explaining the beauty of the woods in the spring – Caroline urging Teddy to look into the woods. The dog is Teddy – Dyna walks to slow to go on this rather fast walk – we went on a slower walk with Dyna later in the day. 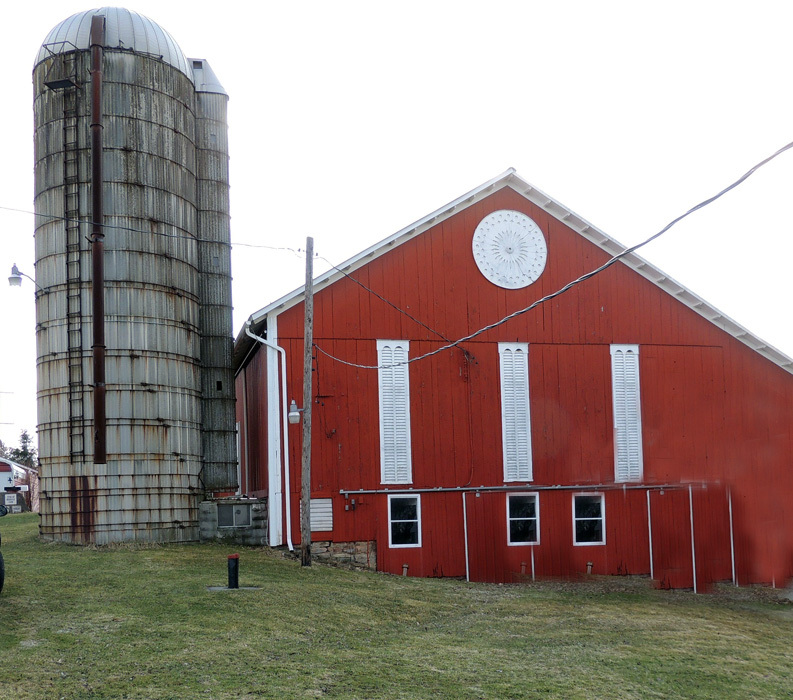 The old barn – I spent every day of my youth and teen years doing at least two sets of farm chores in this barn! Before school in the morning and as soon as the bus dropped us off after school. Then of course, every day of the summer “Vacation” – AND I LOVED IT ALL ! – I really did! — I am sure that is why I had a ranch in Texas and still have a horse, tractor, stock trailer, and etc in Michigan! 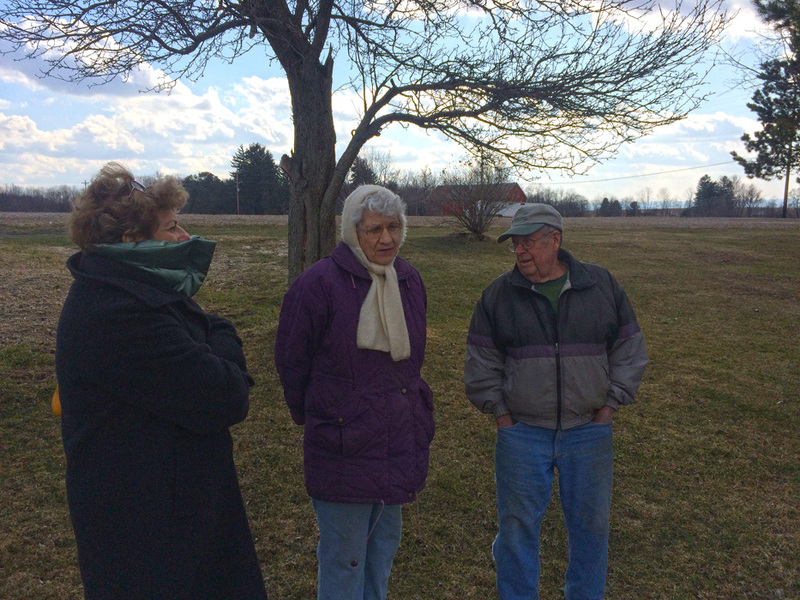 This was the barn where my Grandfather lived and where the miking was done – only a couple hundred yards down the road from the Old Barn where we lived. 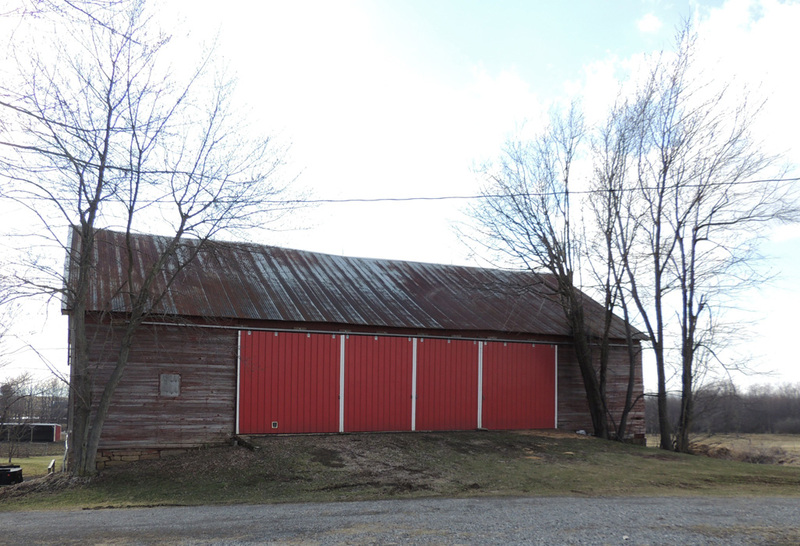 The old barn built in the early 1800’s by my great great granddad with my great granddad, housed the cattle that were dry, the bull, and the 4H baby beeves raised by us kids In my growing up my Grandfather and dad farmed together – Then my Dad did the farming when granddad retired. Then Dad and my Brother farmed here together and then my brother with his family carried on the tradition after Dad retired – You see the tradition of passing the farm from generation to generation started in the early 1800’s with my Great Great Granddad Abraham Brubaker – It is sad to think that a Brubaker may not carry on the tradition after my brother – Maybe an offspring of an offspring or a niece or nephew will come forward? I ran off to the big city so my kids and grandkids tend to look to the city for their life style – well most of them any way but who knows? I still tie my “being” to the country life of my growing up. 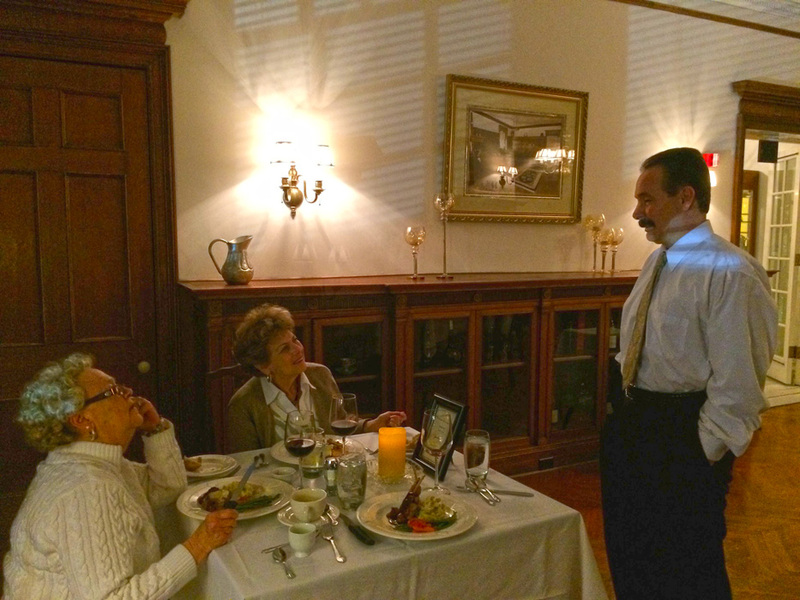 Maybe some of that rubbed off somewhere in the family tree below me (or is it above me) – I am not sure I know how to draw a family tree..
Dinner with my sister in Somerset Pa – Somerset is between the steel mills and coal mines of Pittsburgh and Johnstown and near the hundreds of company owned coal mining towns of the appalachian mountains – actually the company towns were in the valleys of the region -(The Brubaker home farm was not in the valley it was on the on the ridge road – we Brubaker kids were known as ridge runners)- The industrialist had their resorts and hunting lodges in the mountains around Somerset and Johnstown too (Read about the Johnstown Flood of 1889, the South Fork Dam, and who’s fault it was) – Here Gloria and my Sister are having a conversation with the developer who is restoring the old mansion to the hey days of the industrial revolution – when the wealthy dined here. Too many photos to show – Tomorrow I will show you photos of our next stop – Columbus, Ohio to meet friends and to attend the annual Equine Affair.